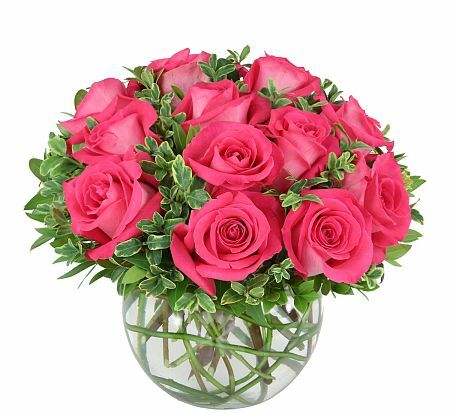 A classic and luxurious display of perfect pink roses in a bubble bowl. Lush greenery and curly willow compliment the arrangement beautifully. This flower arrangement has been picked fresh for you to help you celebrate a birthday, anniversary, or express your thank you wishes.